This HP 36.4 GB hard drive is dependable, high-performing, and well-suited to providing a great deal of surplus disk space for all your needs. 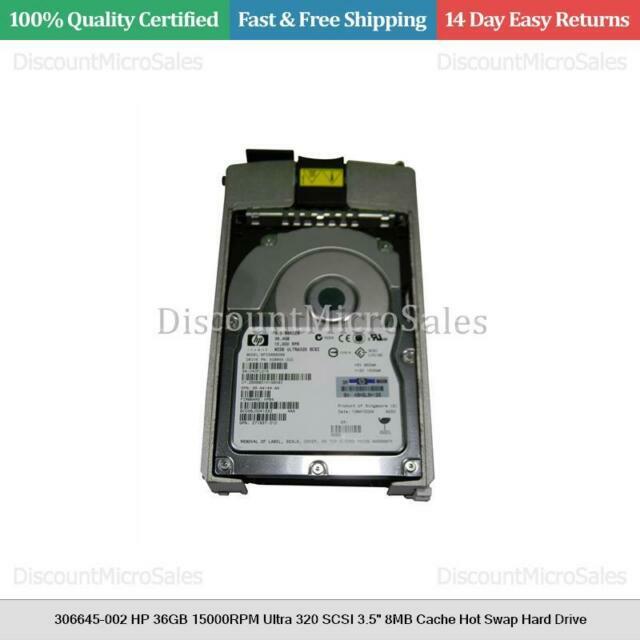 This internal hard drive is the perfect companion for providing years of reliable service. System builders and hardware enthusiasts delight in the performance and speed of this HP 36.4 GB hard drive. Backup large documents, applications, and photos very quickly thanks to the ultra-fast 15000 RPM rotation speed included with the HP BF036863B9. This HP 36.4 GB hard drive is wonderfully dependable, with solid build quality, allowing you to benefit from long-lasting glitch-free operation without fear of mechanical breakdowns or component failures. This internal hard drive is easily installable, enabling you to simply use it in devices that support the Ultra-320 SCSI interface. Plus, the HP BF036863B9 allows you to preserve your entire family's cherished shared videos, software programs, and data files with ease with its generous storage capacity.